To view information about each tract, just click on their picture, or click on the titles below. If you'd like a free copy of a particular tract, just place a check in the box and fill out the form below. 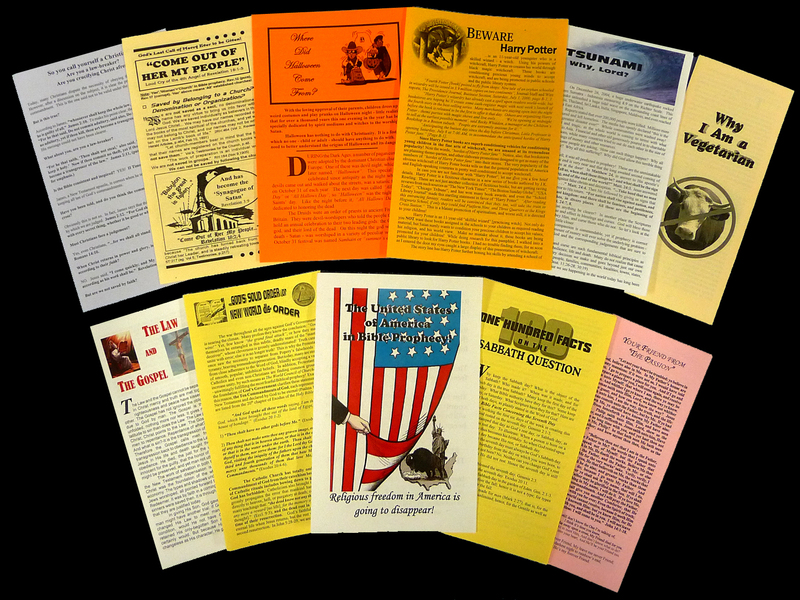 Please check out our page with booklets for witnessing, also! If you'd like to order a larger quantity, please go to our orders page. "The United States in Bible Prophecy!" "So you call yourself a Christian?!" "Where Did Halloween Come From?" "God's Solid Order or New World dis-Order"
"100 Facts on the Sabbath Question"
"Why I Am a Vegetarian"
"Your Friend From 'The Passion'"
"The Law and The Gospel"